The MW07 has an exciting V-shaped sound with prominent sub and mid-bass and lower-treble that grants it a punchy bass presentation and copious detail presence. In turn, it implements a bump in the centre midrange that ensures vocals don’t become overshadowed amidst engaging lows and highs. Nonetheless, though there is adequate balance between the three core frequency bands, this earphone’s sound is quite sculpted to provide engagement over accuracy. Nonetheless, it remains a noticeably more controlled and nuanced listen than one might expect from a TWS product. Bass extends very well, delivering copious sub-bass slam and visceral rumble. Bass overall has large emphasis, mostly within the sub-bass before sloping downwards through the mid and upper-bass. Accordingly, bass emphasis and fullness aren’t overwhelming, in fact, both are quite reasonable compared to even the Sennheiser Momentum TWS, especially as the higher frequencies are also emphasized to provide the impression of greater balance. Upper-bass begins a fairly steep decline into the lower-midrange which ensures the earphones don’t sound overly warm or muffled. As such, the MW07 sounds very punchy and has large, bold bass notes yet its low-end is only modestly warm and its midrange impressively tonally transparent. What’s also impressive on the MW07 is its driver control. Bass is well-defined and decay is on the shorter side for a dynamic driver. This contributes towards heightened separation and a high level of bass detail despite notable mid-bass emphasis. This earphone has big bass though it delightfully tickles rather than bothering the ear with its tight impact and strong dynamics. Though not balanced, the MW07 has a strong yet well-controlled low-end that will delight consumers and bass-loving enthusiasts. The MW07’s midrange sits behind by comparison to the highs and lows and its quality may polarise some audiences. 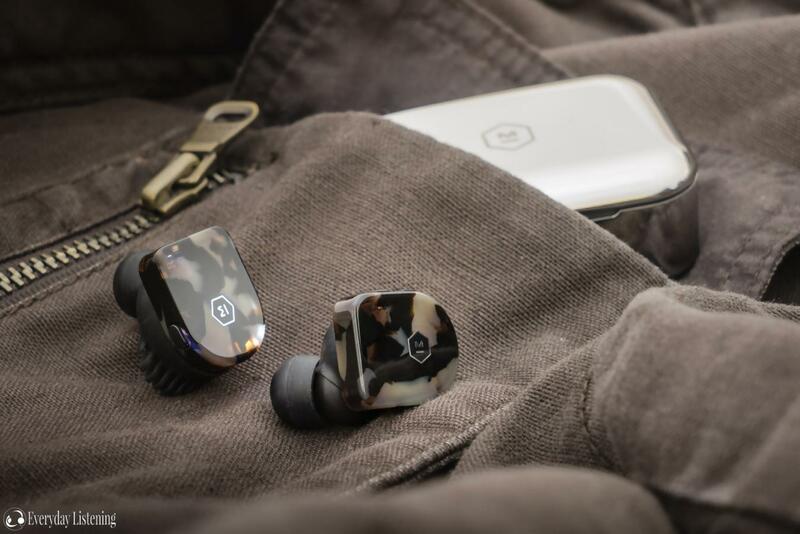 In order to separate the midrange from the earphone’s strong low-end, M&D implement a sharp lower-midrange dip which saps body and warmth from the vocal range. This works mostly to the earphone’s favour as, despite considerable bass emphasis, vocals are clear, present and tonally transparent, resulting in high vocal intelligibility. Furthermore, these traits are aided by an equally steep climb to a 3KHz peak followed by an emphasized upper-midrange, resulting in well-extended mids with great clarity. On the flipside, it remains that the earphones aren’t very linear in their tuning and timbre suffers as a result. Vocals lack body and density hasn’t been increased to compensate either. Male vocals can sound a touch metallic while female vocals are often raspy. Fans of rich, powerful vocals may find issue, though it can be argued that this tuning was necessary to compensate for bass emphasis. Resultantly, this earphone best suits genres of music such as pop where timbre and linearity are less important. An app to adjust the midrange for greater linearity would have been ideal as vocals do sound thin and off-timbre even if they do impress with their presence and clarity. Highs are crisp and energetic, invigorating tracks with ample lower-treble attack, specifically around 5KHz. This contradicts the usual 6KHz spike, which has rather been attenuated, serving to reduce sibilance; a very strong tuning decision given the earphone’s midrange tuning. The result is a slightly warmer instrument reconstruction but that 6KHz dip can also sap a touch of sharpness from high notes and will be up to listener preference. However, as there is emphasis lower down, listeners are still rewarded with an engaging and undoubtedly high-energy treble response. Additionally, middle-treble has modest peak, producing a slightly more pristine presentation with greater air and shimmer. Emphasis isn’t to the degree that highs become overly brittle nor is the background especially bright, but you don’t get the same background/foreground separation as earphones with a cleaner background. Upper-treble is fairly subdued and smoothly rolled-off. Extension is above average but doesn’t compare to wired models of similar price. Still, as middle and lower-treble are well-done to my ear, the earphones deliver plenty of detail and a little sparkle that is usually missing entirely on wireless products. Of course, don’t expect superb resolving power or micro-detail, what the MW07 delivers is simply a crisp and relatively clean high-frequency presentation with ample energy and without incurring fatigue over longer listening. The MW07 constructs a nicely expanded stage a result of its tuning in addition to its above average treble extension. Width, in particular, is quite impressive, often reaching just outside the head while depth is more intimate as a result of a forward vocal range. Imaging is mixed but convincing overall. The earphones deliver sharp directional cues, a strong centre image and instrument location is easy to discern which is aided by their higher separation. On the contrary, layering is just average as a result of middle-treble brightness and generally lower background resolution which holds them back from being outstanding in this regard. Separation is very good, however. Bass is bold but pacey and controlled so notes are defined, vocals are well delineated and treble is crisp without intruding on surrounding frequencies, delivering a nice balance between foreground crispness and atmosphere.